The rock with an impression of an asteroid is a delusion of scale and temporality; it signifies a densification and intensification of time, and of impact. 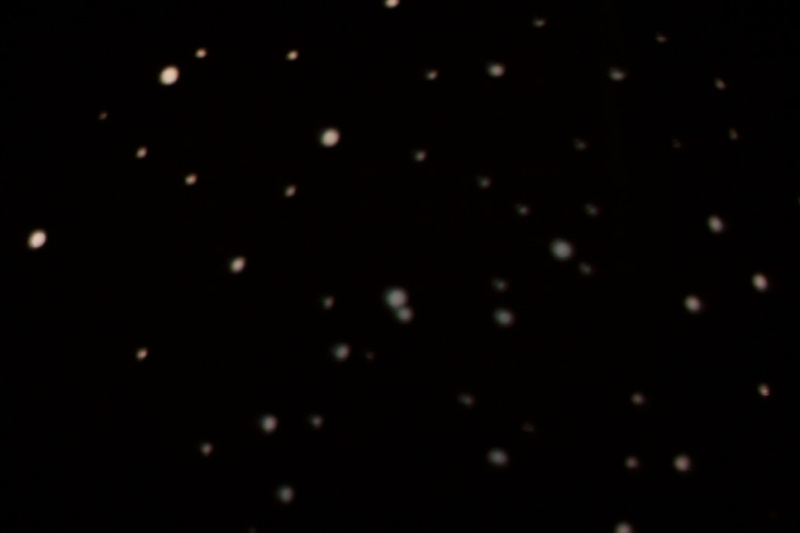 The natural congruences and the incongruences of the immanent qualities between a rock from earth and an asteroid from perception allude to a symbolic mutual portrayal. The withered ivy is dead, but still retaining its physical form of being. Is it a quiet (or bold) denial of death and disappearance, or the impalpability of the self after them? Both the asteroid-like rock and the withered ivy show a coexistence of the existentialist and fatalist characters in their own body. 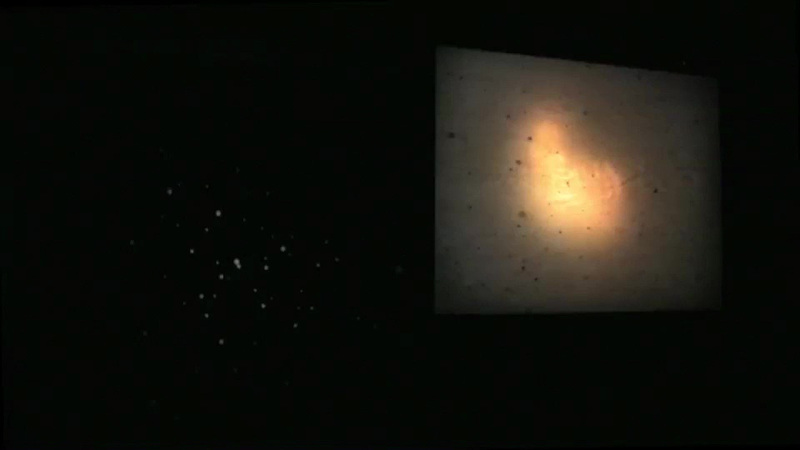 Filming the objects was a re-examining and re-evaluating process in a simultaneously constructed new dimension of materiality and temporality. 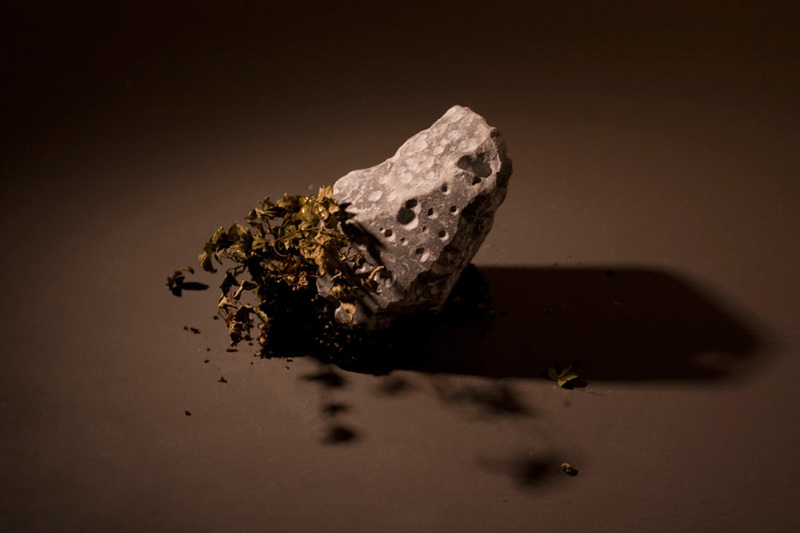 The plant was captured in a similar style in which the rock was shot, and this rendered it to partially embody a remote objecthood that was related to an asteroid. 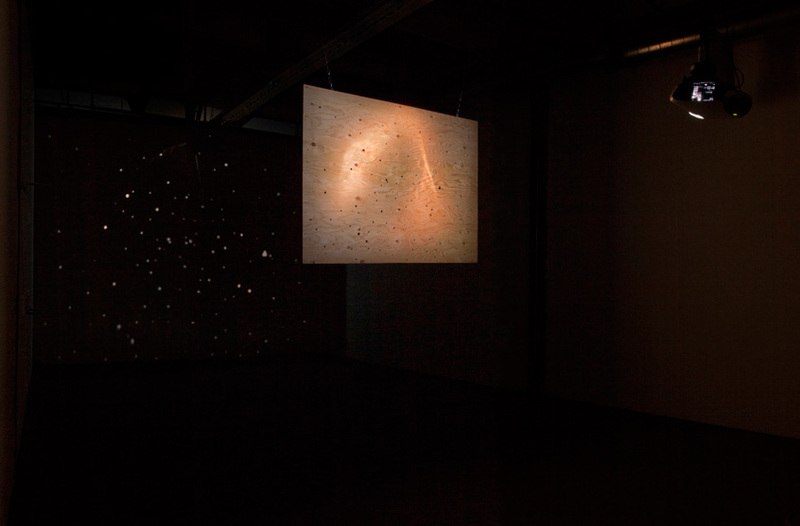 The video installation partly functions as a camera obscura: all the light dots of different sizes formed on the wall are repetitions of a single image of the obscured projector bulb. 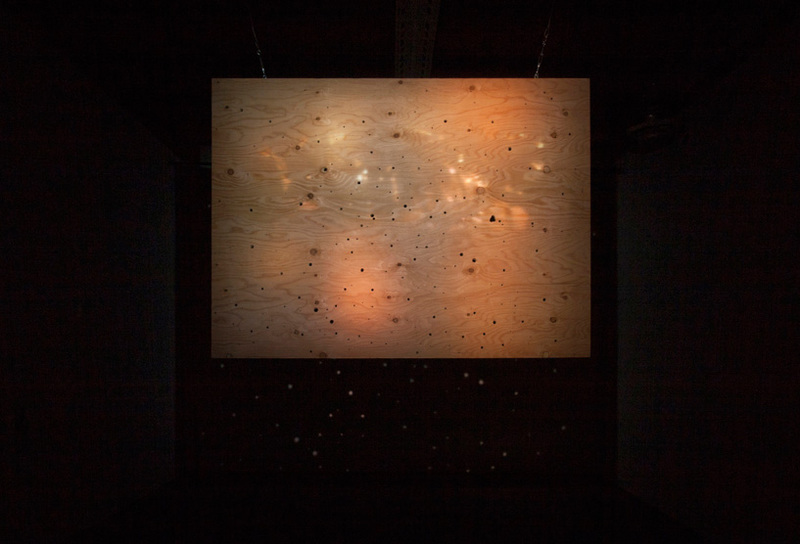 Both the light dots and the perforated plywood screen, which has clear wood grain, echo the uneven surface of the asteroid (unfolded and laid flat) and its implications about temporality and vitality, and the universe as an infinite interrogation of them.